It’s fair to say that modern capitalist ideals are the driving force behind today’s society. All the contemporary luxuries that we now enjoy — from fast, quiet cars to the deliciously comfy beds we rest our weary heads on every night — are the result of that constant corporate push to achieve maximum profits with minimum loss. When we examine how other manifestos are applied to society, the most infamous of which is communism, it’s easy to see that capitalism is far preferable. But it also has it’s own teething problems… you have only to look to Trump, that quintessential caricature of a money- and power-hungry capitalist tyrant, to recognize this. Then there’s corporations that destroy whole communities or ruin people’s lives in their push to maximize profits, or a shift away from notions of sharing in favor of hoarding. Sure, capitalism has it’s own issues. And nowhere is this more apparent than in the well-oiled profit machine of the supermarket. 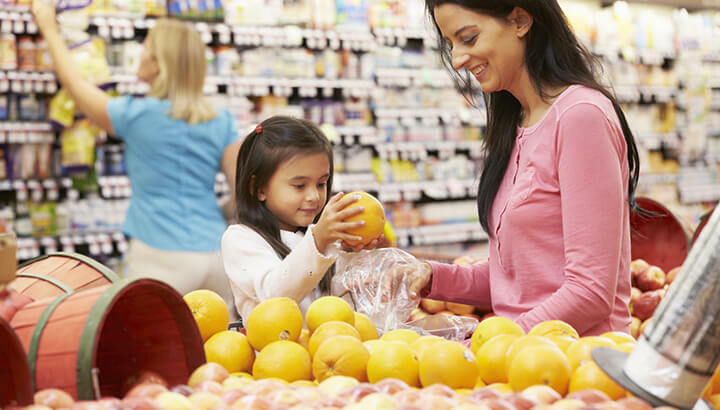 Ever wonder why you’re wandering in a particular pattern around the grocery store? 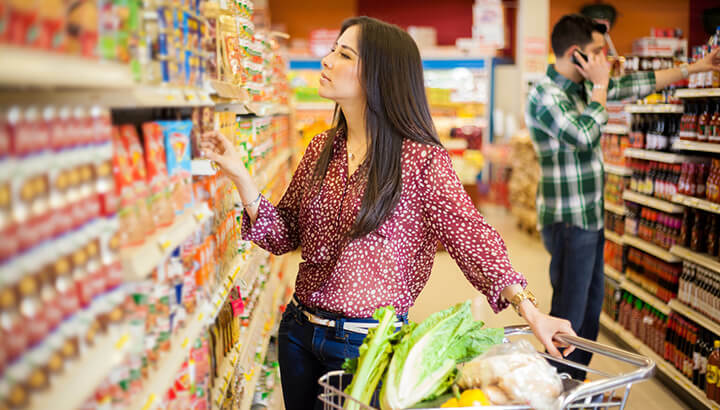 How you planned on staying well away from the candy or potato chip aisle, only to find yourself suddenly strolling along those very aisles in a kind of trance? It’s no coincidence. The thing is, grocery stores have something of a dilemma. The average supermarket sells more than 50,000 items, a goodly portion of which is perishable foods like meat, dairy and fresh produce. The task of any good grocery store is to get the average customer to walk through as much of the store as possible, in order to increase their chances of selling more products before they expire. In the supermarket, profit reigns supreme. And this means that every little detail in your local grocery store is designed to make you think less and buy more. Here’s how. If you were under the impression that supermarkets spray their fresh produce with water to keep them fresh, think again. As with most other things in the average grocery store, the name of the game is making things look tastier, rather than actually being tastier. This mandate very much applies to the water misters in the produce section, as the beads of water on that bunch of grapes or bundle of carrots is only there to make them look prettier and to actually add more weight to the produce in question… costing you more at the checkout (it’s not much, but with thousands of customers every day it certainly adds up). In fact, that water is actually making the produce rot faster! If you’ve ever prepared your home-grown produce for long-term storage, you’ll know what I mean. Fresh produce isn’t clean, even if it’s coated in water. While we’re on the topic of produce at the grocery store, have you ever stopped to think about how clean those fruit and veggies really are? How about when you picked up that apple, saw that it was bruised, and put it back again? Chances are, so did 50 people before you, ensuring that the filth of 50 hands was then rubbed firmly onto the skin of that apple. And unless you’re rinsing your produce thoroughly under running water and then soaking them in diluted vinegar, do you really think a quick rinse is going to get rid of all that dirt and germs? Don’t be fooled by that tantalizing glisten of water… it doesn’t mean your produce is clean! Speaking of dirty, how about those shopping carts? Cleaning each of their hundreds of shopping trolleys every day would be a huge extra expense for your grocery store, so they simply let them get filthy. Thousands of hands will have rubbed their contents all over the cart handle before it ever gets even a perfunctory wipe. It might be in your interests to give your hands a good wash after you shop next time! Ever wonder why checkout aisles are so tiny and cramped? It’s because a) they want you to get up close and personal with the various gums, candy and magazines they have stocked in those tiny shelves and b) they don’t want you to ditch any of the items you have in your shopping cart. If there’s no space to put anything, it’s pretty hard to ditch something you no longer want, right? Sneaky, sneaky. You often hear about restaurants that failed a food safety inspection and were closed down. But do you ever hear about a supermarket that was closed due to a failed inspection? It doesn’t really happen, and that’s because supermarkets in the U.S. are under no obligation to close their doors even if they don’t pass a food safety check. And while you can ask to see their inspection scores, grocery stores are also under no obligation to actually show their food safety scores at the entrance. When food goes bad, it’s sent back to be re-purposed. This is one of those scenarios where the food industry uses an innocent-seeming word to cover up a practice that’s actually downright disgusting. When a grocery store gets sent a batch of food that’s gone bad for whatever reason, it’s sent back to the manufacturer or distributor… not for disposal, but for reconditioning. This essentially means taking something unsightly, expired or visibly rotting and re-processing it so that it can be sold on supermarket shelves again. A classic example of this is when moldy applesauce was “reconditioned” by blasting it with heat, repackaged and sold as if nothing had ever been wrong with it. Or how about when insect parts were removed from children’s food and then simply repackaged for sale to more unfortunate children? Perhaps some Chlorox to bleach a batch of pork, in order to make it look fresher than it actually was? Nasty stuff. Next time you see something a little fishy in your supermarket, you should probably think twice before shrugging your shoulders and buying it anyway; chances are there’s probably an unpleasant backstory behind it. Do your research, practice caution and — for the love of God — wash your hands! 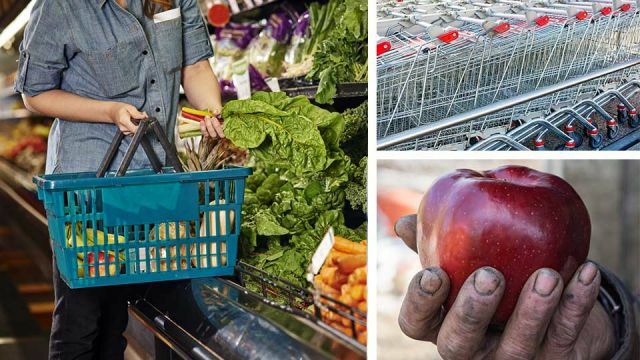 Hey Buddy!, I found this information for you: "6 Dirty Secrets That Grocery Stores Don’t Want You To Know". Here is the website link: https://www.thealternativedaily.com/6-dirty-secrets-that-grocery-stores-dont-want-you-to-know/. Thank you.